Diopoh obtained his laurea (biology) from the University of Perugia, Italy, in 1966, diplôme d’Etudes Approfondies (biochemistry) from the Collège de France, Paris, in 1967, doctorat 3ème cycle (biochemistry) in 1971 and his doctorat d’etat ès-sciences in 1976. He is: Professor of biochemistry, Faculty of Science and Technology, National University of Côte Ivoire; technical adviser to the Minister of Higher Education and Scientific Research; and president, Expert Committee of CAMES. 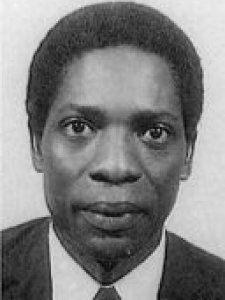 He was previously: Assistant, Faculté des Sciences et Techniques, National University of Côte Ivoire from 1971-73; maître-assistant from 1973-77; chargé d’enseignement from 1977-78; maître de conference from 1978-82; and dean of the Faculty from 1986-92. He was awarded the Chevalier dans l’Ordre des Palmes.